Bernard Rimland, Ph.D., a visionary autism research pioneer and the man most responsible for debunking the "refrigerator Mom" theory of autism, died Nov. 21, 2006 in San Diego at the age of 78. A California psychologist and father of a child diagnosed with autism at age two, Dr. Rimland wrote his landmark book "Infantile Autism: The Syndrome and Its Implications for a Neural Theory of Behavior" in 1964. Rejecting the theories promoted by psychiatrist Leo Kanner and psychoanalyst Bruno Bettleheim, Dr. Rimland argued for a biological, specifically a neurological, basis for autistic behavior. He documented the similarities between brain injured children and autistic children, liberating parents from the destructive guilt associated with having an autistic child and pointing autism research in the direction it should always have taken: investigation into the biological mechanisms underlying brain and immune system dysfunction. After founding the Autism Society of America (ASA) in 1965 and establishing the Autism Research Institute (ARI) in 1967, Dr. Rimland began distributing a questionnaire to parents of autistic children. Some 33 years later, he analyzed information he had collected in his databank pertaining to the age of onset of autism. He discovered that before the early 1980's, most of the parents reported their children first showed signs of abnormal behavior at birth or in the first year of life. But after the mid-1980's, there was a reversal of this pattern. By 2000, the numbers of parents reporting that their children developed normally in the first year and a half of life and then suddenly became autistic, doubled. Rimland commented "now the onset-at-18-month children outnumber the onset-at-birth children by 2 to 1." 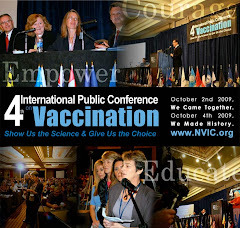 In 2002, the National Vaccine Information Center awarded Dr. Rimland NVIC's Courage in Science Award. The award was presented to "Bernard Rimland, Ph.D. for demonstrating intellectual independence and personal courage in challenging medical science and its widely held view that the causes of autism are psychological and not biological. With the publishing of his ground-breaking 1964 book, Dr. Rimland shattered the view in psychiatry that autism in children is an emotional illness caused by cold and destructive mothering. His pioneering research established that the causes of autism are biological and not psychological. "He helped to raise public awareness about autism when he worked on the academy award winning film, "Rain Man," whose lead character was modeled after his own autistic son. After having devoted more than 35 years to the study of autism, its biological causes and the development of healing therapies, Dr. Rimland today is once again challenging medical science as he publicly questions whether vaccination is one of the biological causes of autism in some children. For his dedication to truth in science and the public's right to know, Bernard Rimland is an outstanding example of what it means to have courage in science and is given NVIC's Courage in Science Award." Bernie, as many of us called him, was a brilliant man with uncommon determination and a true love for the autistic children and their families, who he devoted his entire life to helping. Fearless and uncompromising in pursuit of the truth, his leadership and his great, good heart will be missed by all who knew him and by those who never knew him but whose lives are better because he was here. Our deep sympathy is extended to his wife, family and his colleagues at the Autism Research Institute and Defeat Autism Now (DAN), which he co- founded with physicians committed to developing protocols for healing the brain and immune system dysfunction that defines autism. We are sorry to report that Dr. Bernard Rimland passed away earlier today [Nov. 21, 2006). More information about Dr. Rimland will be posted on ARI's website, www.AutismResearchInstitute.com, in the next few days. A graveside memorial service will be held Wednesday, November 22, 2006 at 2 p.m. on the Shalom lawn at Greenwood Memorial Park in San Diego. The public is welcome to attend. In lieu of flowers, Dr. Rimland's family asks that donations be made to the Autism Research Institute (4182 Adams Avenue, San Diego, CA 92116). Donations can also be made online on ARI's website. Others are convinced potential harm also may lurk in other components of the ever-expanding childhood immunization schedule. "It is just as logical to argue that the chronic disease and disability epidemic that has developed during the past 25 years, in which autism takes a leading role, is more associated with an increase in the different types of live virus and inactivated bacterial vaccines given to all children, as well as the increases in total number of doses, than it is to one component of those many vaccines," said Barbara Loe Fisher, co- founder and president of the advocacy group National Vaccine Information Center. "Human infants have never in the history of man experienced their environment in the way that they are now experiencing it, which includes having their first immunological experience at 12 hours of age with an atypical manipulation of the immune system when hepatitis B vaccine is injected," she explained. "This is followed by continuing atypical introduction of lab altered live viruses and inactivated bacteria into the body during the first six years of life, including seven vaccines at 2 months, seven more at 4 months, eight more at 6 months ... (B)y age 6, a child will have received 48 doses of 14 vaccines," Fisher said. Tamiflu and flu vaccine apparently have one thing in common: they both can cause brain dysfunction and consumers should become fully informed before taking the risk. Influenza and flu-like illnesses have been part of the human condition for centuries. Only 20 percent of all flu-like illness is actually caused by influenza viruses. Exposure to and recovery from type A and type B influenza results in immunity which is qualitatively superior to vaccine-induced temporary immunity. Most published studies examining influenza vaccine effectiveness are methodologically flawed and very few have demonstrated that influenza vaccine is effective in preventing influenza in children and adults. 1. Wash your hands frequently. 2. Avoid close contact with those who are sick. 3. If you are sick, avoid close contact with those who are well. 4. Cover your mouth if you cough or sneeze. 5. Drink plenty of fluids, especially water. 7. Eat a healthy diet rich in vitamins and minerals, especially foods containing vitamin C (such as citrus fruits) and vitamin D (such as cod liver oil) and spend a few minutes a day in sunlight to help your body make and store vitamin D.
8. Exercise regularly when you are well. 10. Consider including holistic alternatives in your wellness or healing plan, such as chiropractic adjustments, homeopathic and naturopathic remedies, acupuncture and other health care options. The attorneys, who have represented U.S. soldiers forced to take the experimental anthrax vaccine without their voluntary informed consent, are going to continue to battle the Pentagon's immoral policy in federal court. And the National Vaccine Information Center, which yesterday launched the Military and Biodefense Vaccine Project (www.military-biodefensevaccines.org) to better inform the public about military and biodefense vaccines which can be forced on both military and civilian populations, will continue our 25-year effort to defend the human right to voluntary, informed consent to vaccination or any other medical intervention. When medical interventions are forced on individuals without their voluntary, informed consent, the human right to self determination and individual autonomy is violated. Medical doctors and scientists exploiting others for ideological reasons or personal and professional gain, using the immoral utilitarian rationale that some may be harmed for the theoretical benefit of many others, often require the consent of government officials to facilitate that exploitation. Therefore, it is extremely important for citizens to be vigilant and oppose all attempts by scientists, medical doctors and public health officials to erode individual rights when it comes to voluntary, informed health care decision making. Those who choose to become scientists or medical doctors are not exempt from the temptations which plaque humans, including the desire for prestige, honor, money and power. Over time, the public health will not be benefited by an erosion of individual freedoms which serve as a needed check and balance on accumulaton of too much power by any one person or elite group within society. An examination of the role that scientists and medical doctors, especially those in public health, have played in human rights abuses in history is very instructive and serves as a warning to those who would give up the right to informed consent to medical interventions, such as vaccination. The book "Nazi Doctors and the Nuremberg Code" by George Annas and Michael Grodin reinforces the need for restrictions on the power that society takes away from individuals and gives to medical doctors and scientists - for any reason. Bob Kadlec and his former boss, Senator Burr, have lobbied for the creation of a new agency, BARDA, headed by an individual empowered to spend billions of taxpayer dollars developing experimental drugs and vaccines behind closed doors with no public oversight. Whenever the Secretary of Health gives the green light, these experimental drugs and vaccines can be forced on American citizens. The millions of Americans who will become the U.S. government's human guinea pigs will have no legal recourse if they are injured. Kadlec and Burr made sure of that when they helped ram Bioshield Two (Biodefense and Pandemic Vaccine and Drug Development Act of 2005) through Congress in the middle of the night without public knowledge. BARDA is a bad idea, especially since the BARDA czar sitting in back rooms with drug company execs will have access to hundreds of millions of taxpayer dollars but their activities will be exempt from FOIA (Freedom of Information Act) requests from the public to find out how that money is being spent. Nobody but the BARDA czar and his boss, the politically appointed Secretary of Health, will know just how toxic those experimental vaccines and drugs might be before they are forced on citizens in the name of protecting the public health and national security. For more information on the plans that bi- partisan supporters of authoritarian biodefense legislation have for America, read the letter NVIC sent to Bob Kadlec in November 2005 at www.nvic.org (Under News & Features on homepage, click on "Liability Shield Given to Pharma). If you want to voice your opinion about plans to create BARDA so drug companies can develop experimental drugs and vaccines in secret, it is important for you to write,email and fax your Senator and Congressperson at their Washington, D.C. office and their home office in your state without delay. If you oppose the legislation, ask for public hearings in both the House and Senate in January 2007 before any legislation is passed. Go to www.house.gov or www.senate.gov to find out how to contact your federal legislators. While the CDC pleads with Americans to roll up their sleeves and get a flu shot and parent groups concerned about the mercury preservative, thimerosal, call for it to be removed from flu vaccine, the National Vaccine Information Center stands by its position that whether flu vaccine contains mercury or not, the right to informed consent to medical risk taking is a human right and vaccination is no exception. It will be many years before the idealogues at the CDC or the executives making stock decisions at the big pharmaceutical companies or the researchers in academia taking both CDC and drug company money ever come clean with the American people about the real risks of mercury-containing or mercury-free vaccines. 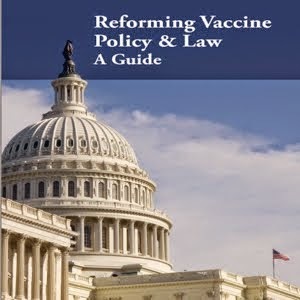 Vaccination involves atypical manipulation of the immune system with lab altered viruses and bacteria as well as many potentially harmful components from aluminum and formaldehyde to endotoxin and residual DNA from animal and human cell substrates. The biological mechanisms for brain and immune system dysfunction caused by live virus or killed bacterial vaccines are varied. Removing mercury from vaccines will lessen the toxic load from vaccination but will not eliminate vaccine injury and death, including vaccine induced autism and other developmental delays. It is sad that health officials at the CDC cannot embrace the "first do no harm" principle and remove a known neurotoxin from the flu vaccine. Their refusal to take this logical step should be a warning to the public that becoming an informed consumer when it comes to vaccination can mean the difference between long term good health or a lifetime of chronic illness and disability. The National Vaccine Information Center has been warning the public for more than a decade that the long term strategy of those creating electronic vaccine tracking systems and vaccine mandates for sexually transmitted diseases like hepatitis B are preparing for the eventual mandating of HIV vaccine for all children. Now, the Boston Celtics are partnering with a hospital that wants to enroll teenagers in its HIV vaccine trials tomorrow by creating an infrastructure to deliver HPV vaccine to teenagers today. States like Michigan are already moving to mandate HPV vaccine, which seeks to prevent infection with a sexually transmitted virus (HPV) that sometimes leads to cervical cancer in women who do not get routine pap smears. Most people clear HPV from the body and there has been a nearly 75 percent drop in cervical cancer cases in the U.S. since the 1950's when pap smears became a routine part of physicals for women. Merck's Gardasil vaccine has not been thoroughly tested for safety (see NVIC's June 27 Gardasil press release at www.nvic.org). Hepatitis B disease is most prevalent among adult IV drug users and those with multiple sexual partners. When the CDC recommended in 1991 that all 12 hour old infants in the newborn nursery be injected with hepatitis B vaccine, there were only a few hundred cases of hepatitis B reported in children under 14 years old annually. Seven years after hepatitis B vaccination there are no detectable antibodies. Hepatitis B vaccination has been associated with multiple sclerosis, optic neuritis, rheumatoid arthritis, chronic fatigue syndrome, and other kinds of brain and immune system dysfunction. The human immunodeficiency virus (HIV) associated with AIDS is notoriously unstable and can mutate in individuals who become infected. Scientists around the world privately express doubts that an HIV vaccine can be developed that will prevent HIV infection and also be safe for everyone. The children of America are being set up to become the human guinea pigs for testing an HIV vaccine. Will they and their parents be fully informed about all risks when they are offered up to the scientists? Every teenager who is injected with HIV vaccine will test positive for HIV for the rest of his or her life. And for the rest of their lives they will not know if the part of the HIV organism that was injected into them will cause serious health problems. HIV vaccination, like hepatitis B vaccination mandated for children in the last decade of the 20th century and like the HPV vaccine on its way to being mandated for children in the first decade of the 21st century, will be mandated for children when it is licensed. And if these children get sick or die after they are vaccinated, their sickness and death will be written off as a "coincidence" by those who have forced them to get vaccinated. The well meaning Boston Celtics have done America a favor by getting the AIDS vaccine agenda out in the open. Now Americans must decide what they will do. The right to informed consent to medical interventions that can cause injury or death is a human right. No forced vaccination - not in America. For years, medical doctors in Britain have been bribed with money bonuses by the government to achieve high vaccination rates in their practices. In the United States, state governments are bribed with money bonuses through CDC grants to achieve high vaccination rates in public schools. Britain doesn't have mandatory vaccination laws that doctors can use as leverage to force vaccination like in the U.S. but, apparently, some British doctors in search of more money from pushing vaccines have either over- vaccinated children or lied about the number of vaccines actually given. Mass vaccination is big business. The dozens of doses of vaccines that public health doctors are now telling children (and adults) they MUST use has created a cash cow for pediatricians and drug companies, as well as for public health agencies being appropriated tax dollars to expand and implement mass vaccination programs. Rachel Carson said it first in "Silent Spring" in 1962. Now a re-acknowledgement that exposure to industrial chemicals can damage the developing human brain has been made in a chemical toxicity review published in The Lancet on Nov. 8 by researchers associated with the Harvard School of Public Health and Mt. Sinai School of Medicine. Although the authors point to obvious environmental toxins such as lead, mercury, and arsenic, there is no mention of the potential neurotoxic effects of injecting newborns and babies with vaccines containing endotoxin, pertussis toxin, aluminum, mercury, formaldehyde, phenoxyethanol, gluteraldehyde, sodium chloride, hydrochloric acid, aluminum sulfate, sodium acetate and other substances as well as lab altered bacteria and live viruses. Limiting chemical exposures in the environment will help prevent children's brains from being damaged. But until the neurotoxicity of vaccines is systematically evaluated and steps are taken to clean up vaccines and modify one-size-fits-all vaccine policies, the "silent pandemic" of brain and immune system dysfunction among children around the world will not be halted. Until the focus of preventive health is redirected from reliance on toxic drugs and vaccines toward wellness care that respects and enhances the natural functioning of the immune system, sickness and disability will plaque too many children who will grow up to be chronically ill and disabled adults. The tragic consequence of allowing one small group of individuals in society - those who choose to become medical doctors (M.D. 's) or scientists (Ph.D.'s) - to make life and death decisions for others is that they can become drunk with power and end up exploiting people. Those elitists who would force people to take medical risks or even kill people in the name of the greater good of society cannot and should not be trusted. Blind faith and trust in those who practice any profession is dangerous, but it is especially dangerous if it requires abandoning individual autonomy and the human right to informed consent. If the birthing rooms and newborn nurseries of the world become killing fields and those who practice science and medicine become the executioners, then it will be a very short time before nursing homes, doctor's offices and public health clinics are legally allowed to stock lethal injections. History that is not remembered will be repeated. We would do well to remember what happened in pre-World War II Germany, when doctors were legally allowed to kill anyone in society considered to be a threat to the public health and welfare. Are we preparing for the day when doctors can not only kill handicapped newborns but also handicapped older children and adults, including the vaccine injured who face a lifetime of long term care? Anyone the medical elite consider to be an economic liability for society and, therefore, expendable could be a target for elimination in what could become the ultimate free exercise of the utilitarian rationale discredited at the Doctor's Trial at Nuremberg in 1947 as inherently evil. I remember when the U.S. Supreme Court issued its famous 1973 legal decision in Roe v Wade, siding with the medical doctors and scientists, who argued that life did not begin at conception but only at birth and, therefore, termination of not only handicapped babies but also healthy babies in the womb was not murder. Like many young women, I ignored the warnings of spirtual leaders who argued that legalized abortion was devaluation of individual life and would lead to future legalized murder after birth when an individual's life became inconvenient or expensive. I caught my breath when I read the following from a British bioethicist commenting how the morality of giving doctors a legal license to kill: "The college’s submission was also welcomed by John Harris, a member of the government’s Human Genetics Commission and professor of bioethics at Manchester University. “We can terminate for serious foetal abnormality up to term but cannot kill a newborn. What do people think has happened in the passage down the birth canal to make it okay to kill the foetus at one end of the birth canal but not at the other?” he said. Anyone who has had to make the difficult decision of whether to cease employing extraordinary measures to prolong a terminally ill loved one's life knows well the difference between a "do not resuscitate" order and a lethal injection. Perhaps we should have listened a little more carefully to the spiritual leaders who warned that giving the medical profession the power to deliberatey kill before birth would tempt them to seek the power to deliberately kill after birth. In any case, it is time to put the breaks on giving more power to those in society who are supposed to be healers, not executioners.